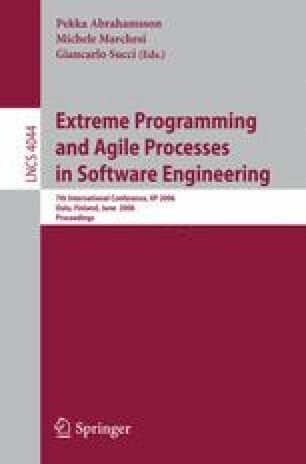 This paper analyzes the development of a project initiated by a co-located agile team that subsequently evolved into a distributed context. The project, named JAPS (Java Agile Portal System) , has been monitored on a regular basis since it started in January 2005, collecting both process and product metrics. Product metrics have been calculated by checking out the source code history from the CVS repository. By analyzing the evolution of these metrics, it has been possible to evaluate how the distribution of the team has impacted the source code quality. This work was supported by MAPS (Agile Methodologies for Software Production) research project, contract/grant sponsor: FIRB research fund of MIUR, contract/grant number: RBNE01JRK8.